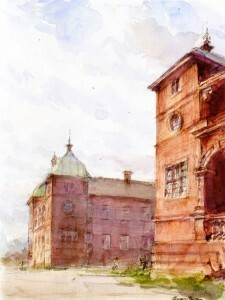 A selection of over fifty watercolour views of Dublin and its hinterland by the distinguished Irish artist Thomas Ryan RHA. 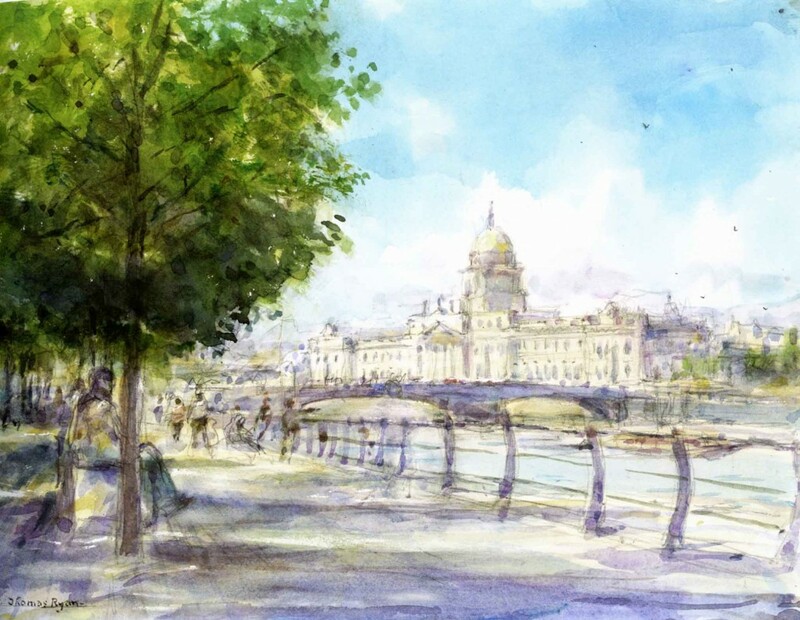 These watercolours are the result of what Thomas Ryan has referred to as a two year ‘examination’ of Dublin and its outlying areas. The choice of medium was in part practical; the equipment is minimal, making it easy to carry what is needed and quick to set up, while the working painter is almost impossible to spot. 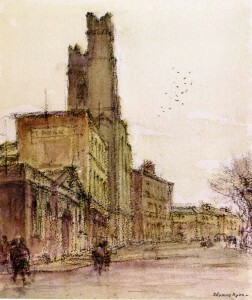 Drawing on a tradition that stretches at least as far back as James Malton, Ryan’s subjects in this exhibition range from the architectural set-pieces of the city – its grand eighteenth century buildings, its cathedrals and churches, the streets and squares of its Georgian core – to what the artist refers to as ‘the wayward and the commonplace’. 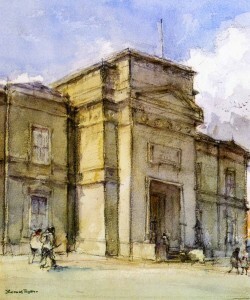 All the watercolours were painted on site, mostly in one sitting. Individually they capture their particular subjects with clarity and a rare perception. 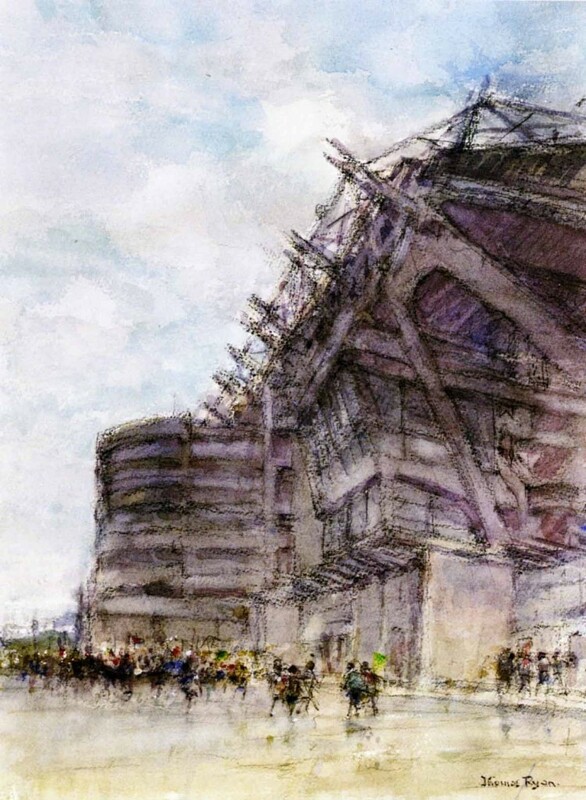 Cumulatively, they amount to a singular celebration of Dublin and its environs. All quotes come from ‘Thomas Ryan – Dublin and thereabouts’, Gandon Editions, Kinsale, 2011, and from a special introduction by the artist to this current exhibition.